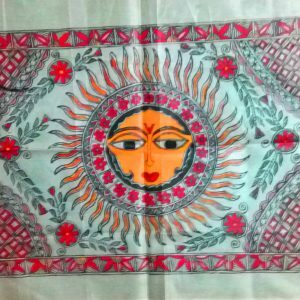 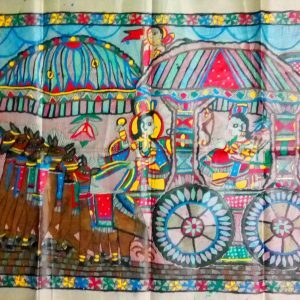 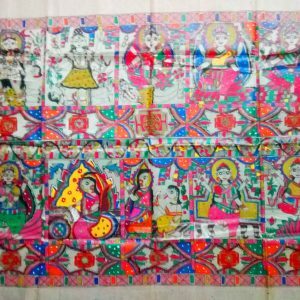 With its origin in the remote areas of Bihar where religion is the factor of civilization, the Madhubani painters greatly relied on it for the expression of their thoughts and ideas. 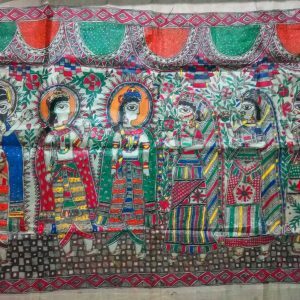 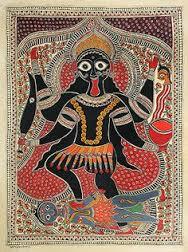 Every idea, every feeling has got an ecclesiastic dimension for these Madhubani painters. 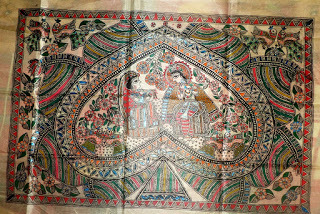 A Madhubani painting, in honor of ethereal love, depicting Lord Krishna with Radha. 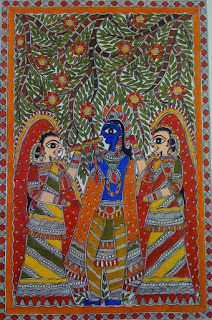 Lord Krishna and Radha – the eternal representation of ethereal love. 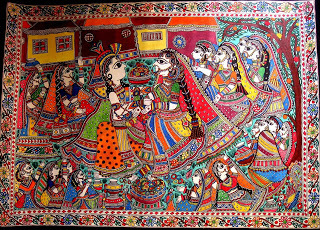 Elaborateness bonded with simplicity is the striking factor of this piece of Madhubani painting. 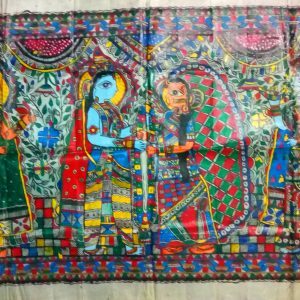 An artistic way to keep your theological faith alive.